Equine Wash (TM) is great for equine massage therapy. 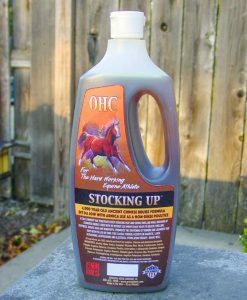 It’s a warm soothing liniment used to relax tense, fatigued muscles or your equine athlete. It aids the masseur or adjustor in prepping the body for massage routine, passive stretches or alignment. A therapist may find that all the benefits of this liniment will be used to it’s optimum in full stretch form. To apply for a session, wipe In a downward motion to warm the body and prepare for therapeutic treatment. Massage with strokes directed to the muscle groups and direction of muscle fibers. For daily care, use after workout, 2 oz of Equine Wash (TM) for every gallon of water. This classic formula assists in magnetic, laser, ultrasound, acupressure and electrical stimulation therapy. Shake Well. Ingredients: Alcohol, soy oil, camphor, clove oil, cassia oil, menthol, lecithin, turpentine oil. 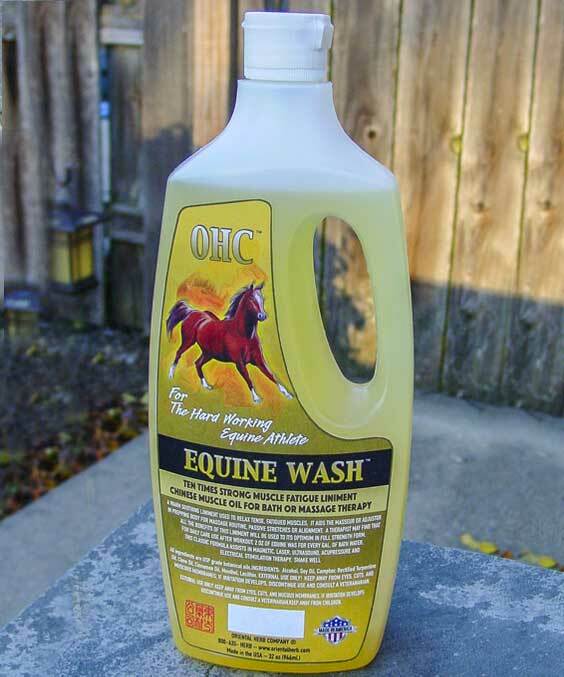 I was introduced to OHC Equine Wash via my Equine Chiropractor. After working through my horses muscles and joints for over an hour he pulled out a spray bottle of liniment. We were instantly transported to an oriental herb market! The smell is just to die for and more importantly my horse looked calm and happy. I now massage this product diluted with water into the muscles along his topline and stifles after each workout and am very happy with the results. Mr Speedy introduced me to this product after working on my horse WE love it!! 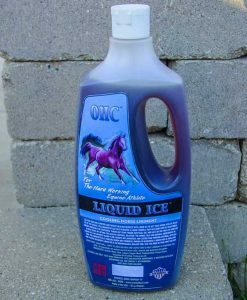 We found to about this product after Kelvin from Lick & Chew Equine in PA worked on our horses by massaging muscles and joints for over an hour each horse and then spraying the equine wash liniment on them afterwards. The smell is amazing, very calming for horse and owner and my horses were relaxed and you could tell they felt better! 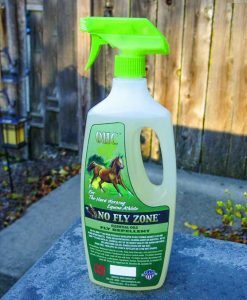 We are thrilled with the results of this product and use it after trail rides with our gaited horses.